Discuss the market weakness in global markets, specifically China and Greece. Look at energy names many are discussing as possible names to speculate on for a bounce. Highlight the progress that Cheniere is making in issuing debt to finance the next phase for their LNG project. Commodity markets are strong today as prices rebound in the face of weaker equity markets. China's Shanghai Composite was down by over 5% today and European markets are also under pressure due to what is taking place in Greece. Trading in Athens closed with the stock market down 13%, and to put that in perspective it was the worst loss since 1987. It baffles us how Europe continues to fumble the ball and allow situations to recur in areas like Greece, Italy, Portugal and Spain. These shocks to the market are unhealthy and do not help in building confidence in the markets or the overall economy. The more shocks we get such as today the longer it will take for strong hands to come and steady the ship. 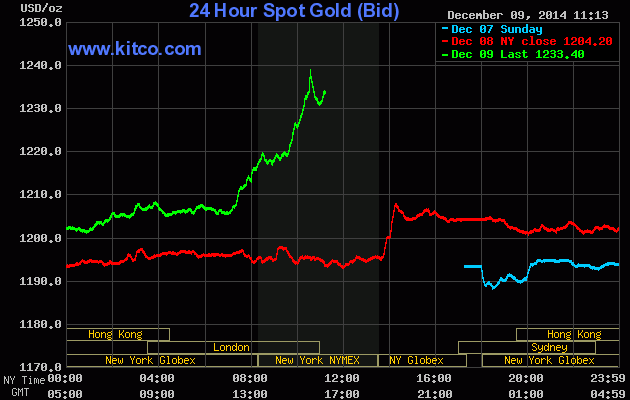 Gold prices are trading at six week highs right now as investors seek safety from the volatility that has crept into the markets in the last 12 hours or so. We are not buyers of gold right now and would actually look at winding down gold positions in this strength. Various energy companies are still seeking capital to finance their projects and future operations. Most notable is Cheniere Energy (NYSEMKT:LNG) which is hoping to get a bridge loan that would enable it to begin the major build out required to complete its Corpus Christi LNG facility. The company has already raised a couple billion dollars, however it now needs to raise around $18 billion to complete the facility. It seems that major Wall Street banks are interested in providing the money, but Cheniere would be required to tap the high-yield junk market two times over the next two years according to reports. With the current state of energy markets that might be tough to do in the near-term, but with the backers they appear to have lined up to underwrite a loan it appears that Cheniere will get the financing they need. There has been a lot of attention paid to those smaller E&P names drilling in areas such as the Bakken and Eagle Ford as potential takeover targets by larger companies once they begin to drown in the debt they incurred for lease acquisition and exploration expenses. Others have argued that investors should forget about speculating in these names along with those who are developing new plays where the actual economics are still not well understood. An example of that would be the TMS, or Tuscaloosa Marine Shale, which both Halcon Resources (NYSE:HK) and Goodrich Petroleum (NYSEMKT:GDP) are both heavily involved in. Investors need to start putting together a list of juniors which they believe could make it through a 24-36 month downturn in oil mostly intact. There are many companies that the market thinks are doomed and within this doubt we think that there have to be a few names which could survive potential harsh times ahead and flourish once oil prices rebound. Our focus as we put or research list together includes names such as Halcon Resources and Magnum Hunter Resources (MHR); two companies that have acreage in different plays and appear to have numerous ways to recapitalize the balance sheet should they need to. Although we already own shares of Halcon, we want to include them in our list of names we will be putting through a 'stress test' as we may want to increase our exposure or reallocate that capital elsewhere. We missed it yesterday, but Citigroup went bullish of shares of Apache Corporation (NYSE:APA). The stock is trading at roughly half of the price of its 52-week high even as the company has put in place shareholder friendly policies. Citigroup has maintained a rating of 'Neutral' on the company's shares until yesterday's 'Buy' rating issuance. Apache, which has been a low yielding stock the last few years now sports a 1.6% yield, making it somewhat attractive to certain peers. Disclosure: The author is long HK. The author wrote this article themselves, and it expresses their own opinions. The author is not receiving compensation for it (other than from Seeking Alpha). The author has no business relationship with any company whose stock is mentioned in this article.